When a guy gets a used laptop, it turns out that it is loaded with evidence of dark web criminal activities. Now, the owners want it back and will do whatever it takes to get it. Usually, films that talk about the "dark web" are typically doing so to be try-hard and hip to give themselves the appearance street cred. "Unfriended: Dark Web" feels like a scary, logical next step in the dark web-volution in filmmaking. This movie is written and directed by Stephen Susco, and though he has many notable writing credits to his name like "The Grudge," "The Grudge 2," and "Red," this is his first directorial effort. The film revolves around a young man named Matias (Colin Woodell), who has recently acquired a used laptop. He is meeting his friends for a game night via Skype and soon discovers this laptop contains an extensive quantity of nefarious material. It turns out, the previous owner of this computer sold snuff videos on the dark web. This secret owner wants their laptop back and has been watching Matias and his friends remotely all night. If this mysterious person doesn't get their machine back, he and his group of criminals pals will kill Matias's friends one by one. 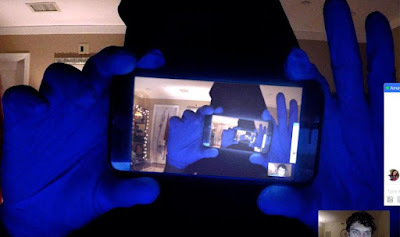 Though "Unfriended: Dark Web" is technically a sequel to the 2014 film "Unfriended," it acts as more of an anthology installment done in the same style rather than a direct follow-up. Weirdly enough, this movie actually feels more like a follow-up to another webcam found footage horror called "The Den." It almost like a more realized remake of the premise of that film. Where the original "Unfriended" was a supernatural horror, "Unfriended: Dark Web" is more grounded in reality and is a high-tech slasher of sorts. The webcam found-footage style has been popping up more frequently (like this year's "Searching" and next year's "Clickbait") and may be wearing thin for some people. That being said, we think this is still an interesting film with a lot of tension, some horrific moments (one specific kill, in particular, is awesome), and an engaging story. As with all films like this, the audience is forced to give its undivided attention (pay attention to a movie? no! !11`~) since much of the information is typed on various computer screens as chats, emails, message board messages, and texts that must be read to obtain all of the necessary information to decipher what's actually going on. If you try to passively watch it, you may get lost about what's what. 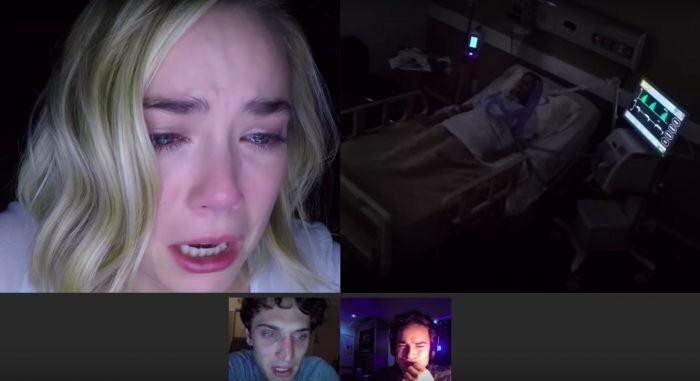 Like most found footage flicks, "Unfriended: Dark Web" won't be for everyone. Those who have enjoyed this style in the past will likely find some entertainment here. We can't say the acting is exceptional, but it does the job for what it is. This might not be the best horror we've ever seen, but its commentary on our scary technological times did enough for us to be satisfied with this semi-clever off-shoot of the original.